I was sad to receive this email forward today. Being a dad, I can gauge what the family must be going through. 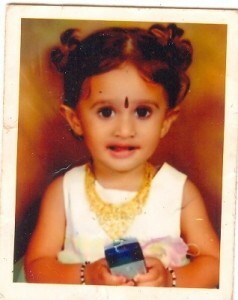 My kid “Bhoomika” is missing from Mejestic Bus station Since 21 days. She is going to be 2 years and can speak only “jeeya”, “mi”, “mama” & “pappa”. We have logged a complaint in UPPARPET police station. Request you to help me by forwarding the message to all, whom you come across. Happen to see my kid please contact my family. Our family members have been scattered all around Bangalore in search of her everyday. Ph:9902933247: cell with my family. I have personally verified this by calling the family and they have confirmed that the kid is missing since October 2nd, 2008. If any one of you notice the kid please inform her parents on the above number. If you get this email forward it or forward this URL to your friends list.